Before Gladys Knight, Martha Reeves and certainly Diana Ross, Mary Wells was Motown’s first female (super)star. Landing a No. 1 single in the heart of Beatlemania was no small feat. Arguably none of the Motown’s female stars have had bigger or more recognizable hits than “My Guy.” The Beatles themselves were so enraptured with Wells that they called her their favorite American singer. Unfortunately, the Smokey Robinson-penned “My Guy,” was also Well’s swan song. 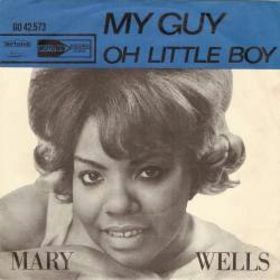 Just a few months after “My Guy” was released, and while it was still very much ruling the charts, Wells exercised the termination clause in her Motown contract. Only 21 years old, she signed with 20th Century Fox with dreams of higher royalty rates and movie stardom. Leaving Motown also meant leaving Robinson, who penned and produced many of her greatest songs. Wells landed only one hit on the Top 40 pop charts after leaving Motown. She spent the rest of the decade bouncing to Atco, then Jubilee Records and finally Reprise Records. Motown founder Berry Gordy was quick to groom a replacement for Wells – Diana Ross. This is a great site, Michael. Anyone who wants to read up on Bill Withers, Al Green, D’Angelo, the Gap Band and legions of other classic soul acts would be well advised to stop by. Get on up to the Uptown Life.